More than 100 Edmonton seniors will be able to stay close to their family and community thanks to a new affordable home in Sakaw Terrace. Minister Christina Gray greets Sakaw Terrace residents at the grand opening of the seniors lodge. The $42.7-million project, in southeast Edmonton, is funded through the Investment in Affordable Housing Agreement between the governments of Canada and Alberta. Sakaw Terrace offers 158 housing units – 70 are lodge units, while 88 are affordable seniors apartments. Sixty of the 88 apartments will be offered at 15 per cent below market rent and 49 of the lodge units will be available to low- and moderate-income seniors. On behalf of Seniors and Housing Minister Lori Sigurdson, Labour Minister Christina Gray made the announcement, along with Amarjeet Sohi, Minister of Natural Resources, on behalf of Jean-Yves Duclos, Minister of Families, Children and Social Development and Minister Responsible for Canada Mortgage and Housing Corporation (CMHC). The governments of Alberta and Canada provided a combined investment of about $20 million under the Investment in Affordable Housing Agreement. The City of Edmonton provided $4.2 million plus donated the land, which is valued at $2.4 million. The Greater Edmonton Foundation housing management body provided $100,000 in land value. The foundation owns the land and the new Sakaw Terrace building. The foundation will finance the remaining $15-million balance. Foundation donors contributed $1 million. Total project cost is $42.7 million. In 2017, the Government of Alberta launched the province’s first Affordable Housing Strategy, including a $1.2-billion commitment to build affordable housing across the province. The Government of Canada is currently rolling out its National Housing Strategy (NHS) – an ambitious 10-year, $40-billion plan that will create 100,000 new housing units and lift 530,000 families out of housing need, as well as repair and renew more than 300,000 housing units and reduce chronic homelessness by 50 per cent. As Canada's authority on housing, CMHC contributes to the stability of the housing market and financial system, provides support for Canadians in housing need and offers unbiased housing research and advice to all levels of Canadian government, consumers and the housing industry. For more information, please visit cmhc.ca or follow us on Twitter, YouTube, LinkedIn and Facebook. To find out more about the National Housing Strategy, visit placetocallhome.ca. The Government of Alberta ministry of Seniors and Housing fosters the development of affordable housing and supports access to housing options for Albertans most in need. 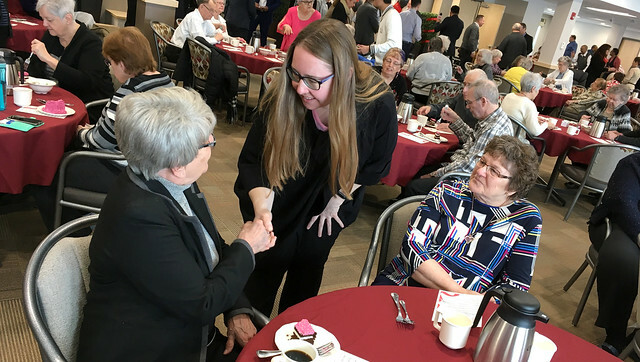 The ministry works with seniors, Albertans who require housing supports, their families and caregivers, communities and other government partners. A more detailed description of the ministry and its programs and initiatives can be found at seniors-housing.gov.ab.ca. Learn more about the Provincial Affordable Housing Strategy. Editor's Note: This news release was also issued by the Canadian Mortgage and Housing Corporation on Feb. 27, 2019.